Sign-up and receive Property Email Alerts of Residential Estates in Monaghan Farm, Lanseria. With the traditional horse riding areas of northern Johannesburg all but disappeared, Monaghan Farm provides 1 260 acres of farmland, primed for country living. Roughly the size of Westcliff, Parkview, and Saxonworld combined, it boasts over 3km of Jukskei River meanders and several more kilometers of river frontage. With over 400 hectares of undulating ground for outrides, Monaghan has attracted top riding professionals who rent and operate the stables. Residents have first preference of these 60 stables and are able to make use of the various paddocks and arenas for competitions. What sets Monaghan apart from other estates in the region is that it truly offers a country lifestyle that is conveniently close to modern amenities. A major shopping mall is just 17km away and Lanseria Airport is a mere 4km drive. Outstanding independent schooling options such as Curro Monaghan, Monaghan Montessori, and Heron Bridge are undisputed draw cards for young families; making this an incomparable investment opportunity. Tastefully designed and spacious homes are a far cry from claustrophobic developments that have become the norm. Rather, Monaghan boasts a natural garden the size of New York's Central Park and the assurance of only having thirty neighbors to share it with. Country Club comforts are offered with a gym, tennis courts, squash courts, and various swimming pools. 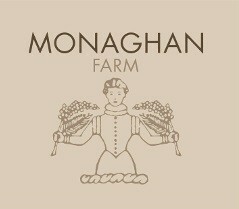 With ten acres dedicated to the growing of organic produce, herbs, cut flowers, and botanical gardens; its little wonder that farmers the country over are choosing to make the secure Monaghan Farm their new home.